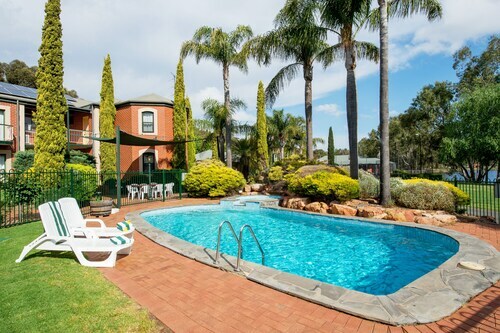 Situated in Auburn, this motel is within a 10-minute walk of Clare Valley and Mount Horrocks Wine. Grosset Wines is 0.7 mi (1.1 km) away. Situated in a rural location, this bed & breakfast is steps from Clare Valley and Mount Horrocks Wine. Grosset Wines is 0.3 mi (0.5 km) away. 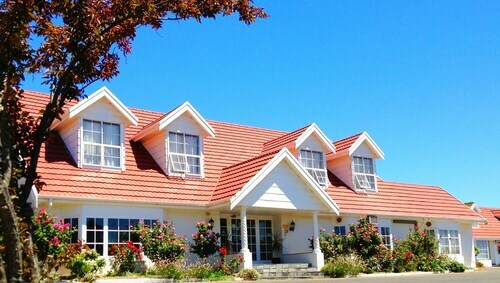 Situated in Auburn, this guesthouse is within a 5-minute walk of Clare Valley and Mount Horrocks Wine. Grosset Wines is 0.4 mi (0.6 km) away. Auburn is a marvellous place to check out, with a nice selection of hotels. There are 4 located less than 5 kilometres from the middle of the city. Try to look into the Amy's House and Mellers of Auburn. All these accommodation options are close to the main hustle and bustle. Lovers of wine won't want to miss Grosset Wines. Learn all about the different grape varietals and what the bottling process involves, then sample the finished product in a tasting session. 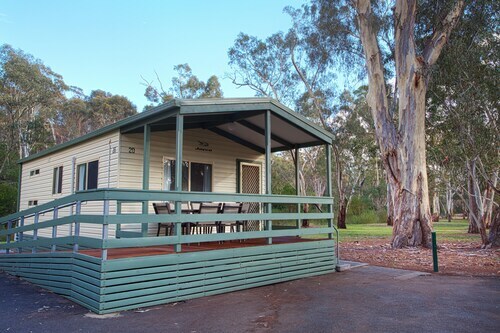 Auburn Shiraz Motel and Lyreen's Apartment B&B are examples of some hotel options that are close to this attraction. If you find yourself needing more accommodation options in Auburn, consider the Comfort Inn Clare Central and the Clare Country Club. They are 25 kilometres and 25 kilometres away from the city's main streets. Further alternatives are the Riesling Trail and Clare Valley Cottages, 20 kilometres away, and the Clare Valley Motel, 20 kilometres. After you've hung out in Auburn for a while, discover Clare Valley - Yorke Peninsula's numerous other charms. Visit the farms and open-air markets in Clare Valley - Yorke Peninsula, or simply admire its rural landscapes. In this part of Australia, energetic types might try shore fishing. If you'd like to check out some close by cities, try Sevenhill and Boconnoc Park. Head 16 kilometres to the north from Auburn and you'll discover Sevenhill. Alternatively, Boconnoc Park is 20 kilometres to the northwest. Sevenhill hotels and apartments include the Brice Hill Country Lodge and St Helen's Country Cottages. The Brown's House Bed and Breakfast and Patly Hill Farm are some of the better ones in Boconnoc Park. Before you head home from Clare Valley - Yorke Peninsula, make sure you experience some sport. Find AAMI Stadium to the south of Auburn. To sleep nearby, make a reservation at The Lakes Resort Hotel or the Semaphore Blue Apartments. If you're travelling into or out of Adelaide International Airport and choose to stay nearby, check out the latest deals at the Seawall Apartments or the Stamford Grand Adelaide. How Much is a Hotel Room in Auburn? Hotels in Auburn start at AU$109 per night. Prices and availability subject to change. Additional terms may apply. Excellent location, quiet and centrally located. The staff were frie dly. Lovely experience overall. Friendly, capable staff. Kitchen sink & drain "back to front". Could have shelf & extra hooks in bathroom. Overall, great place to stay. Staff are always friendly and willing to help at any time. Food is very nice. The whole feel of the place is relaxing.